Nylon 6 or Nylon 66 - Which One Should I Choose? Nylon (PA) 6 & 66 are both synthetic polymers called polyamides, with the numbers describing the type and quantity of polymer chains in their chemical structure. Most nylons, including 6 & 66, are semi-crystalline and possess good strength and durability for demanding applications. Good resistance to high energy radiation (gamma & x-ray). So whilst Nylon 6 & 66 are very similar materials, they do provide slightly different characteristics. The reason for the differences is largely due to their differences in chemical structure. Nylon 6 is made from one monomer which has 6 carbon atoms whilst Nylon 66 is made from 2 monomers with each one having 6 carbon atoms, hence the Nylon 66 name. An important difference between Nylon 6 & 66 is mold shrinkage. 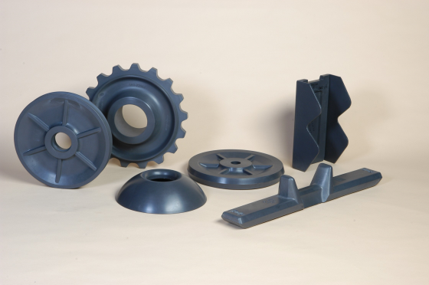 Nylon 6’s lower mold shrinkage adds reliability to final part dimensions which is beneficial whilst Nylon 66’s greater mold shrinkage, as it is exposed to cool air and solidifies, means the material’s shape changes more after processing, which must be accounted for. Other key differences between the two nylons are water absorption rates and heat deflection temperatures. As Nylon 6 absorbs more water than Nylon 66 and has lower heat deflection temperatures, it is not suited to applications that are exposed to water at high temperatures. Nylon 66 would be a better choice between the two. Nylon 6 should be used if a lightweight engineering plastic is required to withstand high impact and stress. It has better aesthetic appearance than Nylon 66 due to its lustrous finish and is easier to dye. It is an ideal choice for applications in the automotive, industrial and military industries. Common applications include: gears, firearm components and automotive engine compartments. It is not ideal, however, for applications that are exposed to water at high temperatures due to its higher water absorption and lower heat deflection rate than Nylon 66, which would be a better choice. 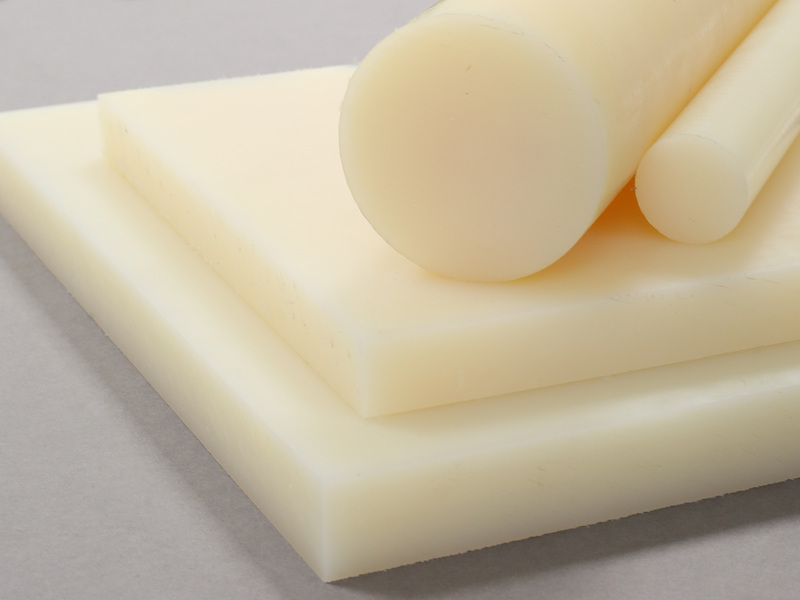 Nylon 66 should be used if a high performing engineering plastic is required that will be exposed to higher temperatures. Additionally, its stiffness and good tensile and flexural modulus make it an ideal material for applications that need repeated long-term performance. Typical applications include: friction bearings, radiator caps and tire ropes. Ai Manchester are raising money for Children in Need!